The wine possesses a dark and deep cherry red colour. In its aroma, mainly the aroma of black fruits and licorice and cocoa notes, stand out, allowing sensing the new oak with seasoned hints. Its entry into the mouth is wide and corpulent, of mature tannins. Long persistence. Especially recommended for accompanying grilled meat, game, chesses, stews and roasted fowl. 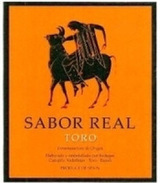 Leather, spice, lemon peel and dried-fruit aromas are textbook for mature Rioja. An elegant yet common mouthfeel is medium bodied and racy, while flavors of dried berry fruits, vanilla, pepper and tobacco are familiar and well presented. A long finish holds onto its fruit, indicating this can age for another decade or so.